In what ways can we authentically share power through our work? How do our own identities shape our research? Are there times you don’t want to use a PAR framework in your research? 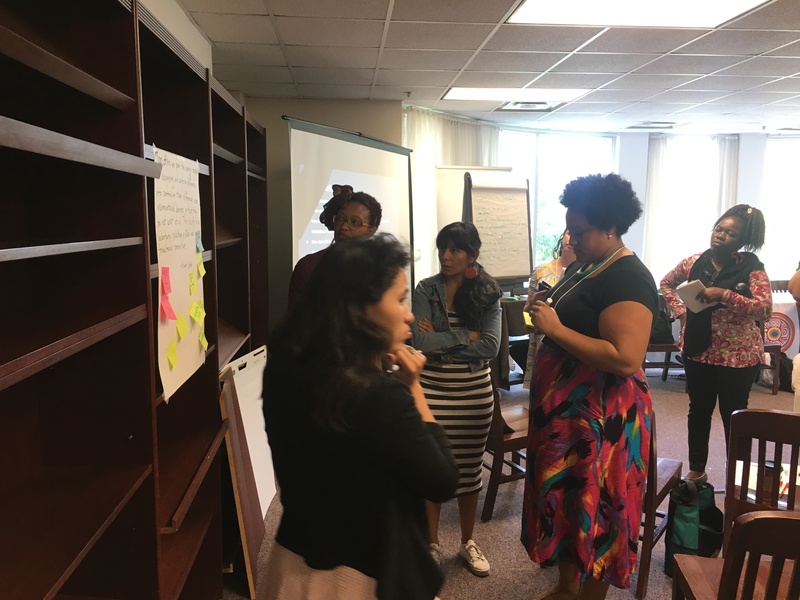 These were just a few of the questions we considered with the participants of our workshop as part of the Democratizing Knowledge Institute held this past week at Spelman University. The room was filled with PhD candidates, university staff, and professors as we consider PAR and its role in creating a more just academy—one that not only centers the experiences of those most impacted by issues but also opens up space for those same individuals to shape what is researched and how, as well as, play a role in determining how the research will be used. Together we also consider ways that PAR-based projects are often able to continue on and serve the community even after the “researcher” has left the project because of the ways PAR structures engage and activate community members as leaders in the project, not just subjects. Through our closing discussion, we wrestled with the question of whether there are situations were a PAR framework isn’t desirable particularly when researching a group that holds power over the “researcher”. This last question is one we are taking with us, considering if and how a PAR framework can be applied and the possibilities for transformation within this type of setting. We are extremely grateful for the opportunity to be a part of the Democratizing Knowledge Institutes over the past 3 years. We can’t wait to see what continues to grow from these deep and rich gatherings!